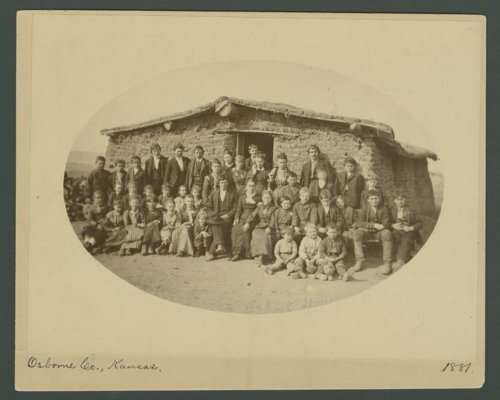 These two sepia photographs show a group of students standing in front of a sod school house in Osborne County, Kansas. On the back of the photographs the town of "Portis" is written. These students can also be seen in Kansas Memory item number 211997. The use of sod was common on the Great Plains for homes and schools due to the lack of wood and other natural resources available.